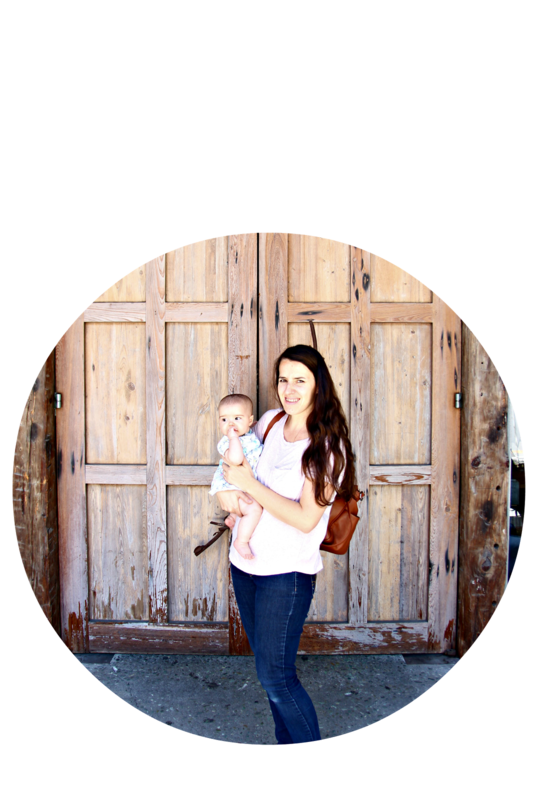 When I first started reading mommy blogs, I always wondered how these super mama's managed to not only make beautiful, time consuming homemade foods and body products, keep a perfectly organized home, homeschool a bajillion children and blog about it as well; all with a smile on their face and a great attitude. Though I was truly inspired and encouraged by them, I felt like I must not have it all together since I was barely able to get anything thing done throughout the day... let alone blog. Looking at other moms (their homes and blogs) and comparing ourselves, is unfortunately a part of the mommy culture, but it's not how God calls us to live. 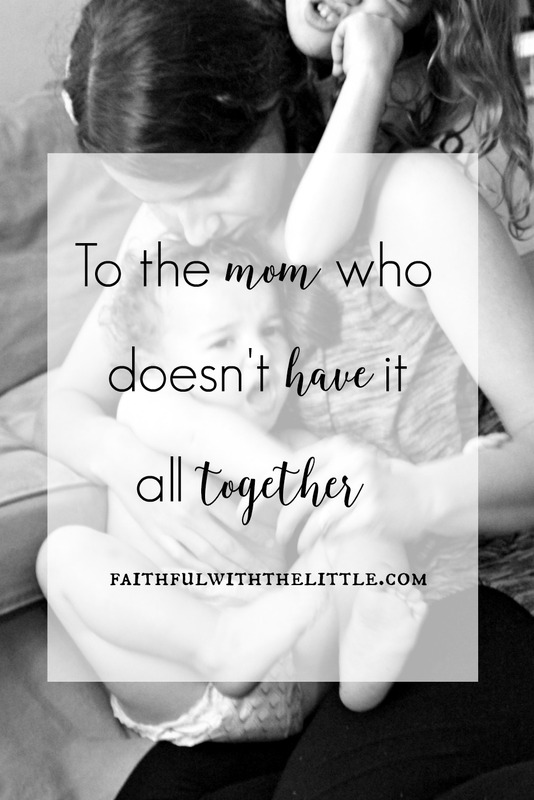 Somewhere on my journey as mom and wife I chose to stop comparing myself to everyone else. (though I still struggle at times) As mothers and wives we are all going to do things differently and have different priorities for our families. There is not a one fits all rule for motherhood. Yes, there are many times when I am not doing it right and neither are you, but that is a part of the learning and growing process. Sometimes we have to figure things out for ourselves and our families. Your kids may not always be wearing clean clothes because you let them play in the dirt. You may not always act out of love and have the best attitude, but you ask for forgiveness and humble yourself when you need to. You may not know how to teach math or english well to your children, but you teach them about Jesus who does all things well! I used to compare myself to others, not good. Then well I turned 40 and 40 was soo freeing, I felt more self confident, I didn't care anymore I realised I did have some talents, just different to my friends. Forty is not too far off for me, so thats something to look forward to;) So thankful that God has all given us different gifts and talents, he doesn't want us to be the same he wants us to be like him! Hey, popping by to say hi! This is a subject often on my heart, trying not to compare. Fortunately I've gotten beyond the comparing thing, most of the time. For me, it's a matter of priorities...some days the "clean house" is a priority, sometimes it's a project, and sometimes it's surviving and letting the kids play however they want. I do think people, especially mommies, forget that while the mommy bloggers have it all together, we're really only showing the good stuff. Yes, Priorities keep me sane! I'm stopping by from Mom2Mom Monday. Thanks for the reminder that I don't have to have it all together all of the time. The secret to being content is enjoying what God has given you and not to compare your life with others, Such great words today! Stopping by from Reflect. Http://janncobb.com Would love for you to share your blog on the link up. Great post! Comparison can be hard. I have to remind myself that God has made me the way I am for a reason and a purpose and didn't make me to be just like everyone else! I can gain inspiration for others, but I shouldn't compare my journey to theirs! Yes, we are all made so uniquely in God's image! I think it is important to really let new Moms know that NO ONE has everything together. No one is perfect and we are all doing our best to be the best Moms that we can be to our children. Some bloggers aren't real and that always bothers me. I try to be honest in my posts so that others can relate and see I am human.